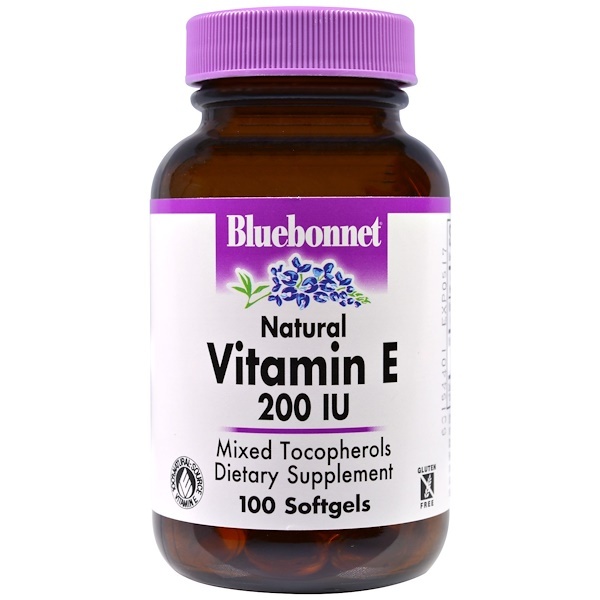 Bluebonnet's Natural Vitamin E 200 IU Mixed Softgels provide the popular, natural d-alpha tocopherol with a full spectrum of natural tocopherol isomers (beta, delta and gamma) in a base of vegetable oil (i.e., soy). Available in easy-to-swallow softgels for maximum assimilation and absorption. 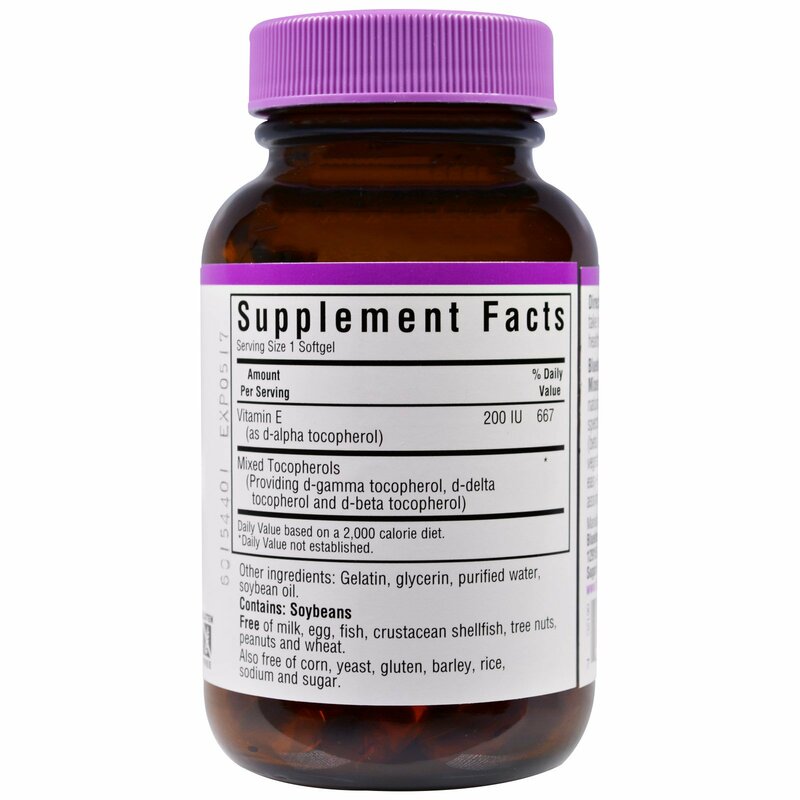 Gelatin, glycerin, purified water, soybean oil.